John Cassidy, one of the country's leading business journalists, has been a staff writer at the New Yorker for six years, covering economics and finance. Previously he was business editor of the Sunday Times (London) and deputy editor of the New York Post. He lives in New York. John Cassidy is one of the world’s best financial journalists. 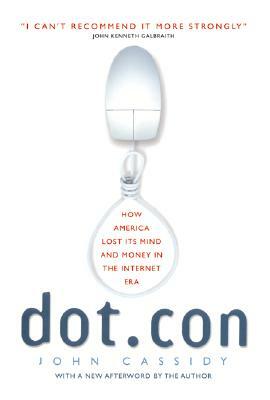 Dot.con [is] compelling.